Dan Miller def. John Salter via submission (anaconda choke) – Round 2, 1:53. Charlie Brenneman made a name for himself in the local circuit with strong ground and pound capabilities. He’s got a strong wrestling background, but it doesn’t quite compare to the elite grappling ability of Jason High. If Brenneman is able to avoid some the take downs, Jason High should still have the slight advantage on the feet. Brenneman’s whole MMA game relies on his ability to take his opponent down, and that’s just not going to happen against Jason High. I like High to be able to get the take down at will, then work his underrated jiu-jitsu for a late finish. Two of the top middleweight prospects in the world meet on the undercard of UFN 21. Gerald Harris will be looking to use his heavy hands and wrestling to defeat his Brazilian foe. Mario Miranda enters the cage with an outstanding grappling game, but the striking isn’t quite there yet. Miranda would be foolish to stand and trade with Harris, whose boxing is far superior. Miranda will look to close distance and get the fight to floor while avoiding the big shot. If he can get inside, taking Harris down will not be an easy task either. I like Harris’ strong wrestling ability to keep the fight on the feet long enough to land the overhand right that will drop Miranda. This fight will most likely be a “Fight of the Night” nominee, and also showcase two rising middleweights with bright futures ahead. The UFC has given Lucio Linhares no love since signing him to the promotion. Both fights given to him have been against two extremely large middleweights with crippling strength and wrestling ability. First it was Rousimar Palhares and know he gets Yushin Okami. Linhares has a strong submission game, but the likelihood of him grabbing the neck or arm of Okami is laughable. Expect Okami to do what Okami always does…. Push Linhares up against the cage, work the take down, then use his paralyzing wrestling to completely neutralize his opponent. The glory days Caol Uno have passed, and the UFC isn’t make his life any easier putting him up against Gleison Tibau. Uno’s take down defense isn’t as strong as it once was, which doesn’t bode well for him in this fight. Gleison Tibau may have the most powerful take downs in all of MMA. Uno’s scramble ability will help in get back to his feet in many situations, but he will find himself back on the mat before you know it. Combine Tibau’s shaky finishing skills with Uno’s durability and you’ve surely got a 15 minute fight. Prediction: Gleison Tibau def Caol Uno by Unanimous Decision. Rob Emerson may be the most inconsistent fighter on the UFC roster. Some fights he’ll show strong counter punching skills with raw punching power, while other fights he’ll look hesitant to throw punches at all. Emerson’s take down defense has improved greatly since his days on “The Ultimate Fighter” show. That will come in handy against Nik Lentz, who trains at the wrestling-heavy Minnesota Martial Arts Academy. Lentz also brings a heavy-handed, yet often sloppy, kick boxing game to the cage. His leg kicks pack some power, but they are often telegraphed leaving him open to the counter. This fight really depends on which Rob Emerson shows up. The tentative Emerson, most likely will lose a decision, while the explosive Emerson should earn the TKO victory. Torres and Volkmann both came into the UFC with a lot of hype behind them, but so far neither one has delivered. For having a strong Division I wrestling background , Volkmann has struggled heavily to stay on his feet against the stronger opponents. Now he moves down to 155 for the first time, where he hopes to have the strength advantage. Hopefully Volkmann’s grappling technique has improved since his last few fights, because Torres has shown great take down skills in the past. Even though this fight will not likely stay upright long, Volkmann may have a small advantage in the boxing area. I like Torres’ relentless take downs to wear Volkmann down earning him a lopsided decision victory. I love this fight. Two of the most technical strikers in the lightweight division going at it. 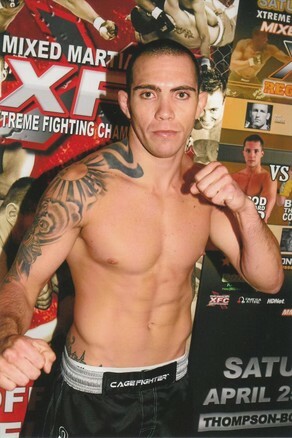 Siver is a kick boxer, who has recently made the spinning back kick one of his most feared moves. Siver comes at you early and fast with flying knees, superman punches, and leg kicks that could chop down trees. Pearson, the more classical boxer, put on a striking clinic in his last fight with Aaron Riley. As impressive as that victory was, i still just can’t get on the Ross Pearson bandwagon yet. I still believe Andre Winner will be the biggest find for the UFC from “The Ultimate Fighter” season 9. Pearson’s chin and durability will be tested tonight, and a win could give him a serious bump in competition. No game plan analysis needed for this fight featuring Nate Quarry and Jorge Rivera. Two power-punchers with suspect chins will be trying to knock off the other one’s head from the opening bell. According to pre-fight interviews, both fighters intend to test each other on the feet early. Struve will have the major reach advantage but lacks any real KO power, while Roy Nelson has pin-point accuracy with his punches and power behind them. If Nelson decides to take this fight to floor, there shouldn’t be any resistance from Struve. Nelson has unbelievable top control, but Struve has been the most dangerous from his back in his young UFC career. Any where this fight goes, it should be incredibly entertaining. Takanori Gomi finally makes his anticipated UFC debut, unfortunately it’s about 2 years too late. Gomi isn’t the fighter he once was, but still is incredibly dangerous on the feet. Gomi will need to be the strong boxer he once was, because Kenny Florian has emerged as one of the best counter-punchers in the UFC. 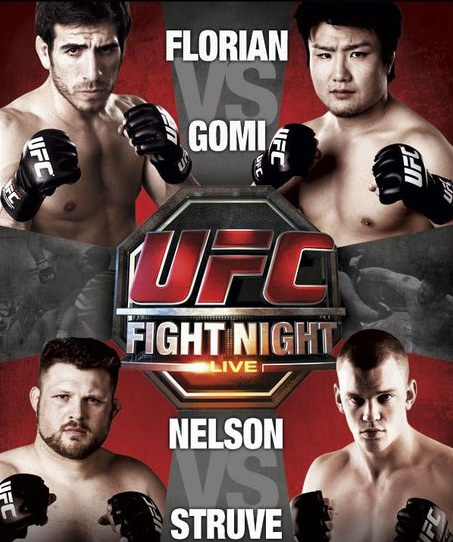 If Gomi is still the predictable slugger he’s been lately, Florian will exploit it with ease. Gomi’s biggest weakness is his cardio and against a work horse like Florian, that could be fatal. Gomi’s best shot of winning this fight will be in the first few minutes, the longer the fight drags on, the more the edge goes to Florian.